Do you have a passion to provide unforgettable experience to travellers? 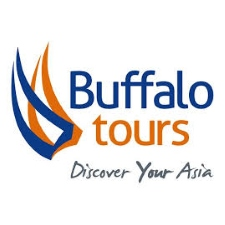 Buffalo Tours is a leading inbound tour operator and destination management company in Asia, hosting hundreds of thousands of journeys annually. We operate in 11 destinations throughout Asia with sales offices in the United Kingdom, the United States, Australia and Russia. Buffalo Tours embraces its origins in Asia, leveraging this background to connect travellers with people and cultures in a way that only locals can. Using our knowledge of Asia, and our expertise, we thrive at creating unforgettable experiences unique to every guest. Now we are looking for a tour leader who is willing to assist our travellers from different countries, and provide them unforgettable experinces in Japan. This is a freelance position, therefore all applicants must have a legitimate resident status in Japan to apply for the position. Take care of experience and culture trips between March and October, traveling around Japan mostly for 1 to 2 weeks. For these trips, cultural and historical knowledge of Japan is a requirement. Oversee the day to day running of our trips, the well being and safety of the group members, and the quality of the services delivered on the ground. A group size is about 10 to 20 people, the age around 18 to 35 years old. ✔Providing inside tips to passengers and assisting them to plan their own free time.